Looking to pump up a room in your home? Add a to the space to add a little pizazz under your feet. FLOR, and Interface Company, has great bold, modular carpet tiles in a variety of colors and patterns that will really add dimension and style to your favorite room in the house. Don’t be afraid of making the floor your statement piece, it’s a large area but does get covered by furniture, so don’t be timid. Looking to spice up the bedroom? Try a new design style! Feel ultra Cali in this low platform bed. It is a more modern and non-traditional way to amp up your master bedroom. The low to the ground style may take some getting used to, but can be just as chic as a raised bed. 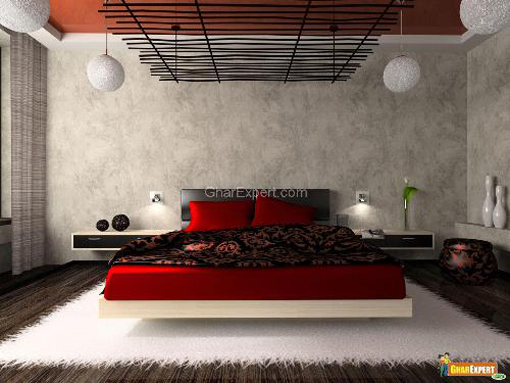 The clean, boxy bed and ceiling element make the room feel very geometric. Step outside of the traditional and dare to get low. Need some really cool and unique ideas on how to decorate your nursery on a budget? Check out my clip form The 10! Show on NBC from friday! I designed/created a gorgeous crib canopy for under $50! 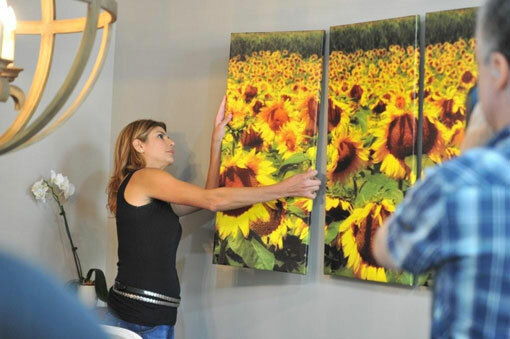 Showhouse Showdown pilot on HGTV features Semerjian Interiors! A very exciting brand new show is going to premiere on HGTV this summer called “Showcase Showdown”. I am super excited about this and you should be too. The series, which is set to debut later this year, features two professional designers who will go head-to-head to create the top interiors for two identical homes with an identical budget to create a winning interior design. At the end of each episode, one professional will be voted the all-star by individuals who represent the developer’s target market. Semerjian Interiors was chosen to be the design firm for the pilot episode. This was an honor for me, considering it was the pilot for HGTV to decide whether the show was a go or not. It was also a risk because of all our hard work going into this and not knowing whether HGTV was going to pick the pilot. The great news is that HGTV picked up the show because of the hard work and talent of Semerjian Intereriors and my competitor, Leyden Lewis Architecture! They are currently filming episodes all around the country. It was truly wonderful to be asked onto the nbc 10! Show. Listen below to see “How to incorporate the top spring fashion trends into your home decor”. Bucks Happening.com interview with Ani Semerjian. One of the projects I’m currently working on is a Spatnish/Meditteranean home on the bay in Margate, NJ. 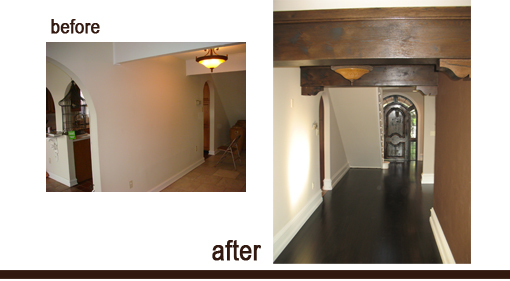 My client recently purchased the home and wanted to transform the space to have a more Meditteranean feel. 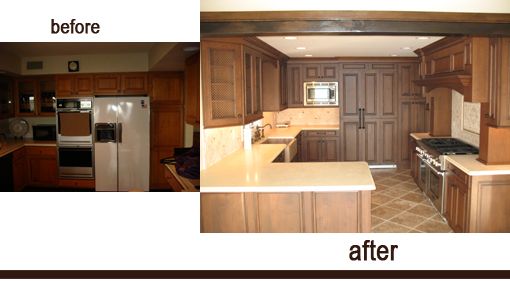 Since majority of my projects have been new construction, it was very exciting for me to work on a renovation. 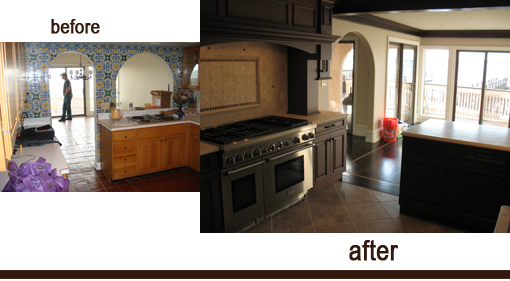 We renovated the entire first floor – including a brand new kitchen – consisting of Woodmode cabinetry, Thermador appliances, a solid Travertine farmhouse sink, leathered Crema countertops, mosaic stone medallion behind the 48″ range, and reclaimed stone Travertine floors. As you can see from the pictures, we removed one of the walls to open up the gorgeous view of the bay. 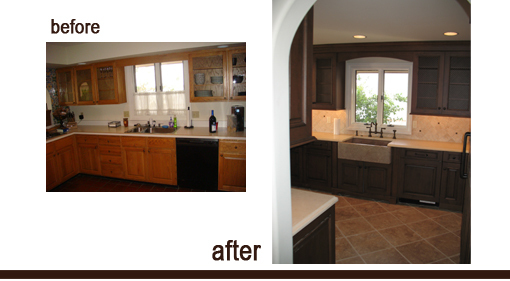 On the first floor, we removed the existing tile flooring and replaced it with 5″ wide plank hand stained brazilian cherry hardwood. 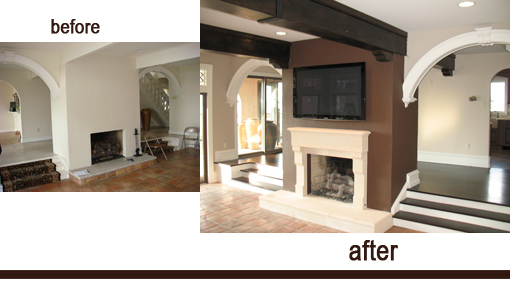 In the family room we added stained rustic oak beams to the ceiling, a gorgeous custom limestone mantel to the fireplace and custom designed wrought iron insets on the transom windows. We replaced the existing front door with an arched knotty alder door with arched glass sidelites/transom combo with wrought iron grills. I’m currently doing the finishing touches on the powder room, I’ll be posting those pictures in another blog post. As you can see, there’s some more work to be done so stay tuned for more! One of the most fun parts of being a designer is going shopping for accessories. I know not everyone is accessible to having an interior designer, so one of the places I think is great for getting ideas and buying tasteful accessories is Williams Sonoma Home. The showrooms are impeccably arranged, so if you need to put a room together and don’t have time to shop at several stores, it’s a great place for one stop shopping. They have a nice mix of eclectic, modern and traditional home accents. My favorite items there are the cachepots, pillows and desk accessories. 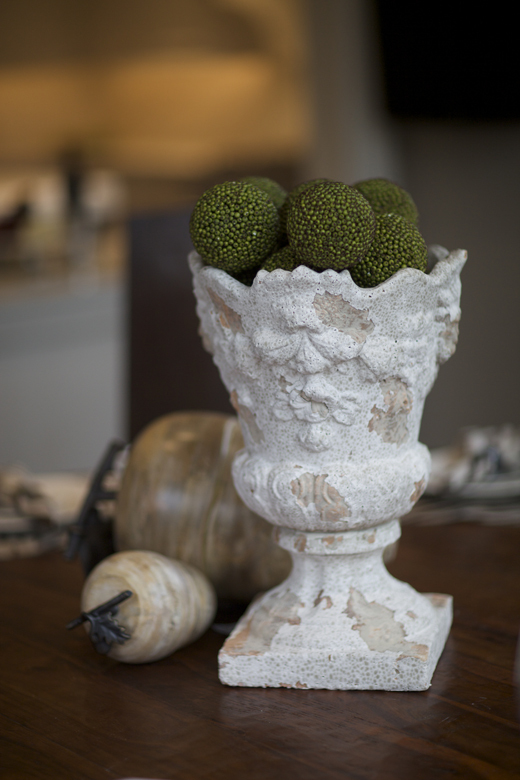 The item in the picture is an outdoor urn/planter that I chose to use inside as a centerpiece. I love the look of this piece. It’s rustic, neutral in color, and can be filled with different items such as plants, ceramic balls, flowers or whatever you are in the mood for. I always like to have a centerpiece that can be customized to fit the season/mood you are trying to create. Now that spring is here, I will be placing flowers from my garden inside the urn. I love the look and scent of freshly cut flowers – It’s a great way to bring the sunny outdoors inside! Every year I try to take a trip out to High Point, North Carolina, to go to the IHFC Market. It is an event that happens twice a year, generally in October and April. It is the largest home furnishings show in the US, approximately 80,000 buyers, designers, manufacturers and sales reps come to meet, see and place orders. It’s a huge show; basically all of downtown High Point is “market”. Much different than a Vegas trade show, it’s a conglomeration of a multitude of buildings and showrooms. Needless to say, my feet were killing me by the end of the first day! I like to visit so I can see what the new trends are for the season and to scope out new merchandise for my clients. 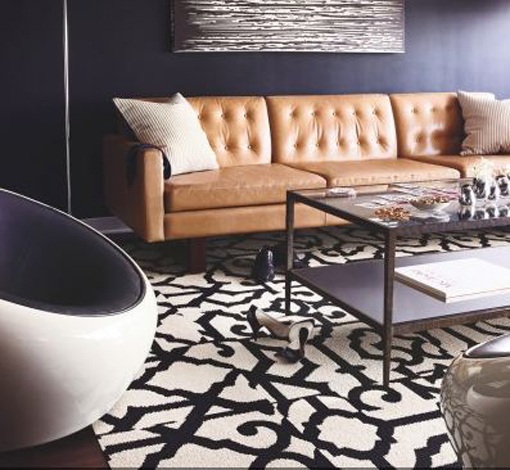 The trends this season consisted of clean lines, exposed wood frames, neutral colors and lots of nail heads. Raw, natural (unstained) wood was prominent with the trendier furniture lines, keeping along the lines of sustainability. Those who know me are fully aware of what a seasoned “internet shopper” I am (my life is basically planned online…) so the furniture market is a fabulous opportunity for me to see the furniture/showrooms in person. One of my favorite dealers is Four Hands, Inc. They carry some of the most amazing pieces, both aesthetically and of the highest quality. Their furniture is sustainable, functional and fashionable. You really can’t have it better than that! 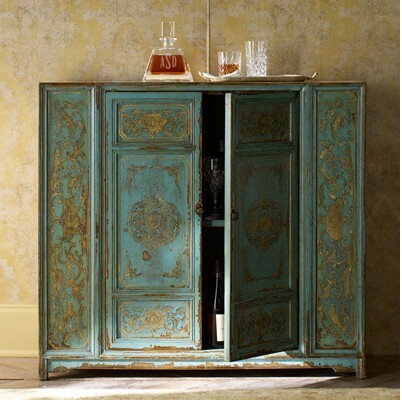 They launched their new Esquire magazine home line which consisted of very (as you can imagine) masculine furniture. It consisted of dark, sumptuous leathers, plaids – very Sinatra-esque. I wanted to own every piece of that line. Some of the other showrooms I visited were Pearson, Bungalow 5, Arteriors Home, I even bumped into Jane Seymour at a showroom! She is debuting a line with Aico furniture. Overall, it was definitely a worthwhile trip and I am looking forward to going back in October. Why it is important to hire a Certified Interior Designer? Most people think that an Interior Designer and Interior Decorator is the same thing. Although the two professions have many similarities, they also have many important differences. Interior Decorators are primarily concerned about the aesthetics of a space. Paint colors, wallpaper, fabrics, drapery, etc. are the main focus of decorating. Interior designers are also concerned with these elements, but we also take into consideration the safety, functionality and efficiency of the product we are specifying for a space. For example, we will specify a certain type of flooring that is aesthetically pleasing but will also take into account the acoustic quality of the material or the slip resistance, etc. One of the most critical differences between interior designers and interior decorators is education. Interior Designers have a degree from a 4 year program in Interior Design. Interior design education involves extensive study of building codes, space planning, the Americans with Disabilities Act (ADA), emergency egress, fire safety, acoustics, etc. There are no formal educational requirements to call yourself an interior decorator. Also, in order to be a Certified Interior Designer, a designer must pass the NCIDQ exam (National Council for Interior Design Qualification).This licensing certifies that the designer is a qualified professional who has the background and schooling required to make complex decisions about interior spaces. In several states interior designers are required to have a license. In Pennsylvania, interior designers are not required to have a license. 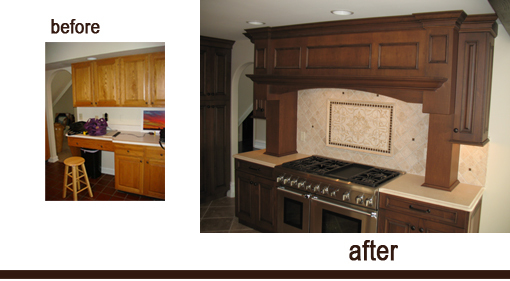 Decorators can call themselves designers in Pennsylvania, which is why it is so important to know the difference between the two! Our clients at Semerjian Interiors are confident that they are working with a Certified Interior Designer that has the highest level of education and experience. 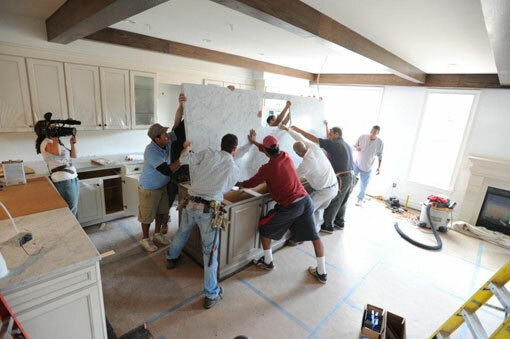 Whether your project is a simple “decorating” project or a complete interior renovation, you can be assured that Semerjian Interiors will provide the highest level of quality and aesthetics in designing your dream space.